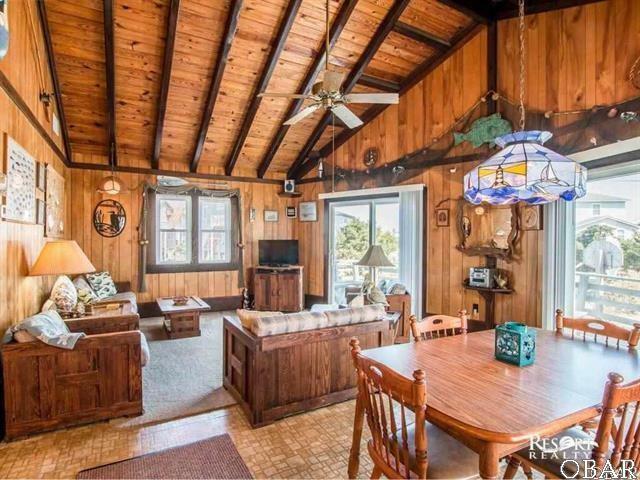 LEAST EXPENSIVE OCEAN SIDE HOME IN AVON!!! Do not be afraid! 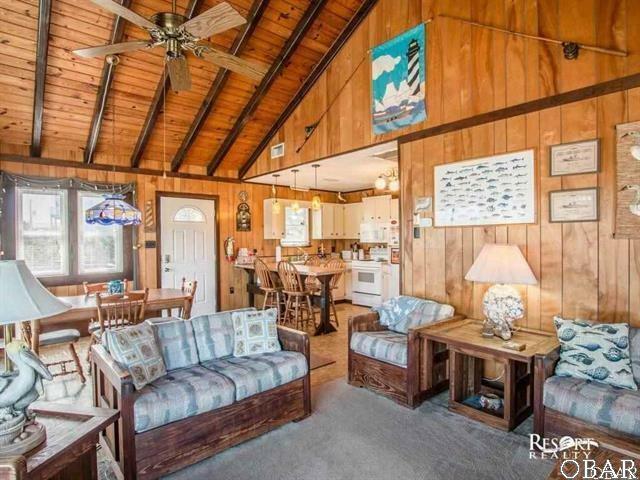 This is a sweet little 2 bedroom/1 bath beach cottage only steps away from beach access. NEWLY-RENOVATED bathroom. Consistent vacation rentals. Sun, sea, and sand is what you will experience in this cute & clean beach cottage located just two lots back from the ocean front and steps from a convenient beach access. The open floor plan provides a living room, dining room, kitchen combo that allows you to spend time together without feeling overcrowded and the large sundeck is great for relaxing outside while listening to the soothing ocean sounds. 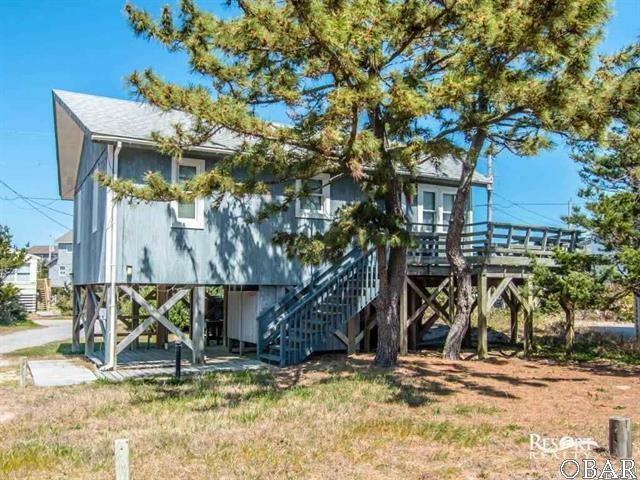 This home is perfect for couples or a small family who wants to enjoy a Hatteras Island vacation, at a very affordable price! Recent updates: 2016 hot water heater, 2015 washer/dryer, heat pump replaced 2013, newer siding, windows & patio doors, roof replaced within last 6-8 yrs, new refrigerator in last 5 yrs. Septic replaced in 2002. 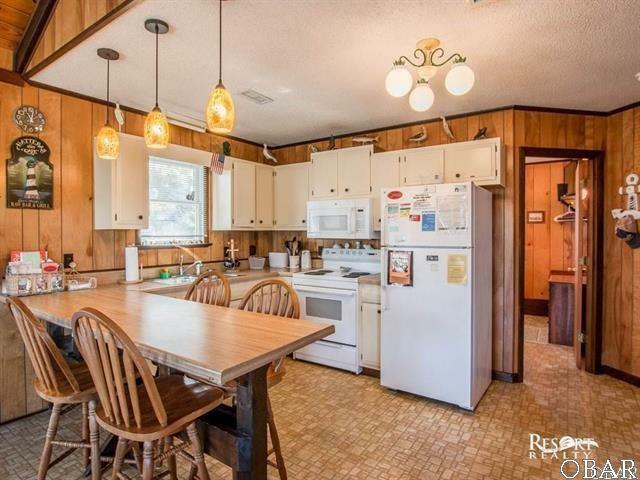 PLEASE NOTE: Seller is selling home AS IS, WHERE IS and discloses that there are some issues concerning the pilings which will need attention in the future; Do not be alarmed. Sellers have provided an estimate from Emanuelson & Dad for $8315.00, and have priced home accordingly. Seller motivated for serious offers. Listing courtesy of Sheri Ducharme of Resort Realty - Nh.